Learn about the e-book collections that are available through the Wilson Library. The Wilson Library has thousands of e-books that you can access on computer or mobile device. Contains over 18,000 chapters in PDF from more than 1,400 books published by APA and other publishers; includes over 700 books of historical impact in psychology dating from 1806, and more than 1,500 entries from Encyclopedia of Psychology. ACLS Humanities E-Book is an online collection of over 5,000 books of high quality in the humanities. These titles are offered by the American Council of Learned Societies in collaboration with thirty-one learned societies, over 100 contributing publishers, and the Michigan Publishing division at the University of Michigan Library. Are you looking for general information on a topic? Start with these collections of encyclopedias, handbooks, and dictionaries. Project Gutenberg is the place where you can download over 33,000 free ebooks to read on your PC, iPad, Kindle, Sony Reader, iPhone, Android or other portable device. The books are free in the United States because their copyright has expired. 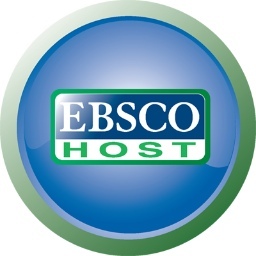 This is a fee based subscription - $9/year - and provides you access to over 750,000 ebooks and edocuments. "Its purposes include offering permanent access for researchers, historians, scholars, people with disabilities, and the general public to historical collections that exist in digital format."